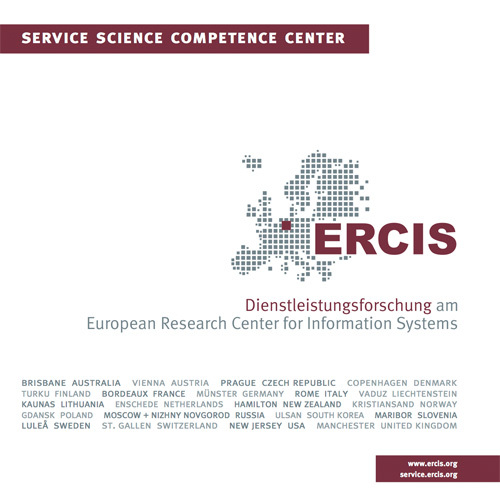 Journal Foundation | ERCIS Competence Center "Service Science"
Foundation of the "Journal of Service Management Research"
We participated in the inception of a new academic journal: The Journal of Service Management Research. As of now, researchers are able to submit manuscripts. Based on our background, we support and curate IT-related submissions. So far, The first two volumes have released, adressing latest interdisciplinary research on Service Management.